EASY SOFTWARE UK kindly invited Andrew Westhead, Business Manager at ROCC, to join them at the event and he commented: “We’re thrilled that our partner of many years, has been nominated once again and won recognition for their outstanding Solutions. This recognises the high quality of the Easy Software Accounts Payable Solution and ROCC look forward to continuing to work closely with Easy Software in delivering solutions to our clients”. EASY SOFTWARE UK, Europe’s leading supplier of document management solutions, was once again shortlisted in the annual Document Manager Awards, the premier annual event for the UK content management community. The firm, which has won 13 DM Awards during the event’s ten-year history, was shortlisted in five categories and on the night won the Accounts Payable Solution of the Year Award. 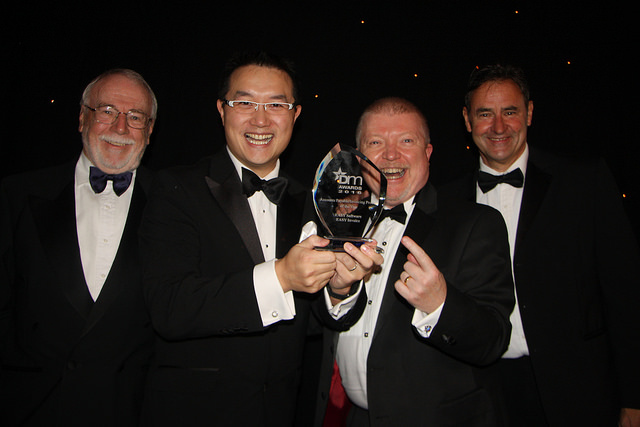 The DM Awards are given based on outstanding contributions to the document management industry, with the event acknowledged to be a must-attend date on the calendar for the UK document and content management sector.